Brad is the owner and operator of Colorado Orthopedic Rehabilitation Specialists. Brad was raised in Fort Collins and graduated from Colorado State University in 1991. Brad ventured to the University of St. Augustine in Florida for physical therapy school and graduated in 1999. He practiced in North Platte, Nebraska for 3 years before moving back to Colorado in 2002. In January, 2005 Brad established Colorado Orthopedic Rehabilitation Specialists with the mission to provide hands-on individualized care that promotes health and pain reduction in the healing process. Brad focuses on creating programs tailored to each individual’s diagnosis, goals, and needs. Treatments include a variety of techniques including manual therapy, exercise, and modalities as indicated. Brad is certified in manual therapy and prefers minimal use of modalities unless recommended or required. Brad enjoys working with patients who have chronic pain – especially from spinal disorders. He frequently is able to produce positive outcomes even when other treatment programs have failed. Good communication with his clients is essential to Brad and he is passionate about educating the public through educational programs to prevent spinal pain. Through experience he has found that most people believe that pain is a normal aging process – this is only partly true. Pain indicates injury that may get worse if not treated or understood. 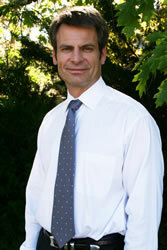 Brad is highly skilled in treatment of orthopedic injury and rehabilitation. Brad enjoys spending time with his family as well participating in many outdoor activities including hunting, fishing, rafting, hiking, and water skiing.